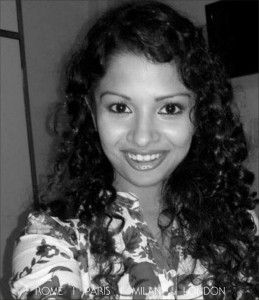 A young lady physician Dr Linoshka D'Silva has won the first prize in the 'Blenders Pride Fashion Selfie' contest. Renowned fashion designer Wendell Rodricks announced D'Silva as the winner of the contest, which was launched in November last year. The organisers had invited selfies from the mobile-users. D'Silva wearing summer collection outfit had sent her picture, which was chosen as the best amongst several hundred entries that were received by the organisers. She won the award in the 'Popular Choice' category. Another youngster, Pavan Patel, won the 'Designer Choice' award for the competition. "Clicking a selfie has become a trend these days. Blenders Pride took an initiative of making people use this opportunity to convey their personal style. "The response was huge and made it a strenuous exercise as people turned out to be quite creative in clicking selfies. This three-month long contest was launched in November 2014 by ace designers Wendell Rodricks and Malini Ramani at the Blenders Pride Magical Night Fashion Selfie launch show held at Sol de Goa hotel, said the organisers. "A selfie in today's age has become the latest trend of self-expression and has an instant connect with the Youth across boundaries. This platform extends an opportunity to a common man to showcase their style," Rodricks commented after announcing the awards. "Goa has style written all over it and this was very evident from the overwhelming, enthusiastic entries received for the Blenders Pride Selfie Contest," he added.